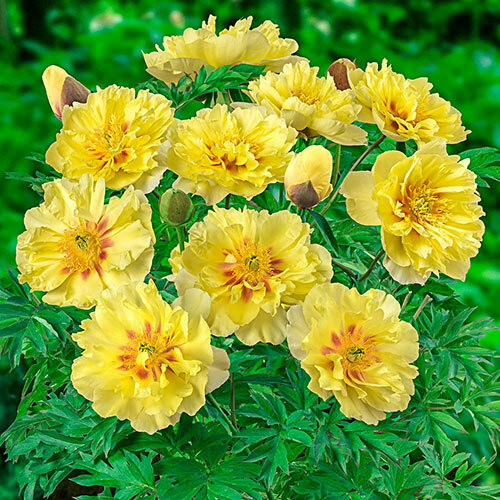 This incredible Itoh variety delivers extra-large, uniquely yellow blooms on a robust, winter hardy plant. Strong stems hold the fragrant flowers upright, even after a heavy rain! 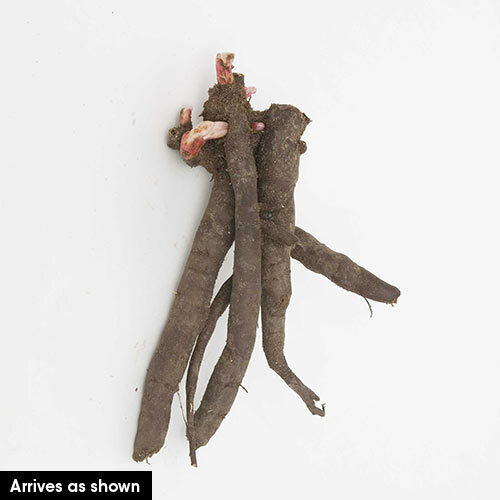 Glossy, green foliage starts out copper-burgundy in the spring and provides interest throughout the season. 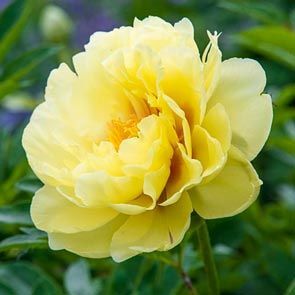 There is no other variety that better fits the description of a lifetime peony than Bartzella—its longevity is incredible! 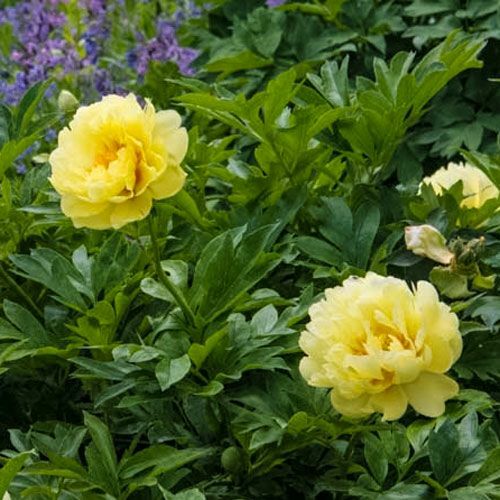 A successful crossing of a tree peony and a bush peony, this hybrid exhibits only the best traits of its peony parents. Uniquely yellow, extra-large flowers (6-8" across) form on a robust, winter-hardy plant—and the blooms keep coming on side shoots for an entire month or more! Strong, woody stems hold the fragrant blooms upright, even after a heavy rain. Glossy, green foliage starts out copper-burgundy in the spring and provides interest throughout the season. Expect this prolific peony to produce up to 80 gorgeous double flowers in a season. Bartzella is sure to enhance the beauty of your garden for many generations. 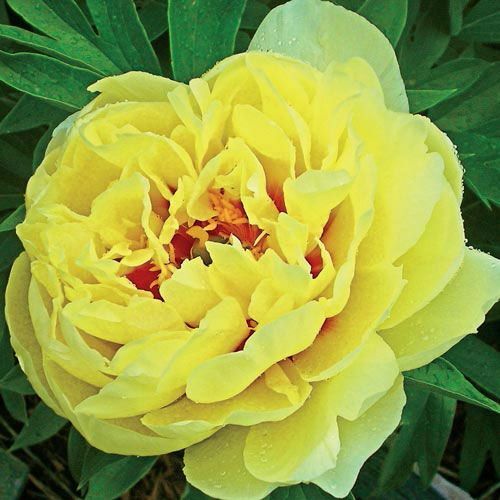 Paeonia x 'Bartzella'.